"Translational Medicine: Drug Development Transformed?" 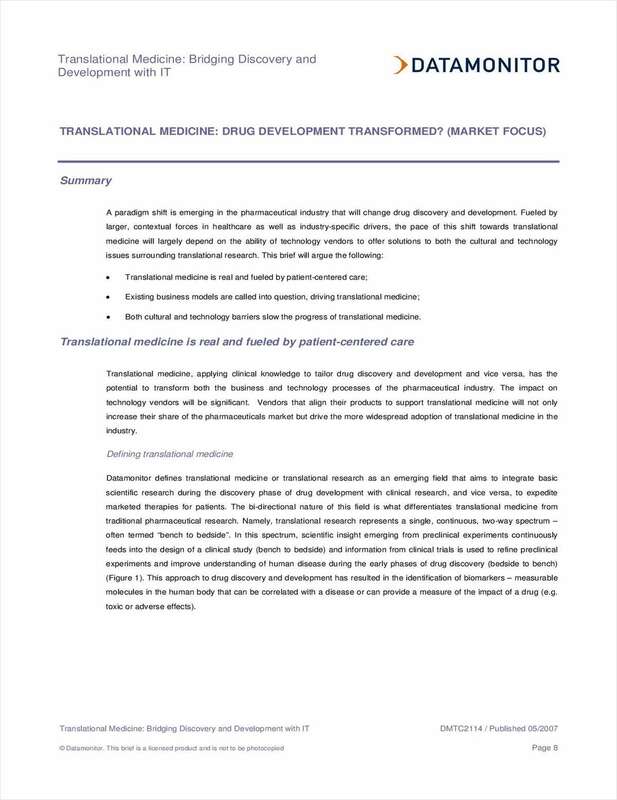 Free White Paper: "Translational Medicine: Drug Development Transformed?" Demystify the technology challenges associated with translational research. By submitting this content request, I have legitimate interest in the content and agree that InforSense, their partners, and the creators of any other content I have selected may contact me regarding news, products, and services that may be of interest to me.